How Does Dementia Affect Long-Term Memory? Long-term memory is a function of your brain where you remember something longer than a day or two, and often for many decades. These long-term memories, unlike short-term memories, are relatively permanent. Most people's earliest memories often go back to the age of four or five, if they were significant in some way. Semantic memories are part of the declarative memory (memories that can be explained and declared) and refer specifically to knowing the meaning of words and actions. An example of a semantic memory is understanding what the word "memory" means. Episodic memories are also part of your declarative memory and encompass specific events and the information related to that experience. The memory of your best friend's wedding, including the people who were there and the dress you wore, is an example of an episodic memory. Procedural memories consist of how to do something, including the specific steps required to accomplish a task. Procedural memories are often more difficult to explain in words, and are known as non-declarative memories. For example, you may "just know how" to ride a bike, but find it challenging to describe every step or explain how your body balances and how your brain makes your legs work to push the pedals. There are several ways you can improve your long-term memory. When trying to store new information in your long-term memory, it helps to repeat it several times and pay full attention. It also helps to attach meaning. For example, try to link new information with something you already know and understand. This is known as elaborative rehearsal. Teaching information to others is another very effective way to get knowledge into your memory and remain there since it requires you to understand it and then express it well to someone else. Using mnemonic strategies can also help improve your ability to learn and then later recall a memory. How Does Alzheimer’s Affect Long-Term Memory? In its early stages, Alzheimer’s disease typically affects short-term memory. For example, this might involve forgetting what you ate for breakfast or repeating yourself in conversation. However, as the disease progresses, people gradually experience more long-term memory loss, also called amnesia. Alzheimer’s and other dementias can affect long-term memory in two different ways. A person can have difficulty storing the information in the long-term memory, and they also can have challenges with retrieving it. Different kinds of dementia can result in either or both of these disruptions to long-term memory. As Alzheimer's progresses, semantic, episodic and procedural memories all gradually erode. People with Alzheimer's may have difficulty finding words; memories of significant events, such as weddings, may fade; and anything that requires multiple steps might become lost. 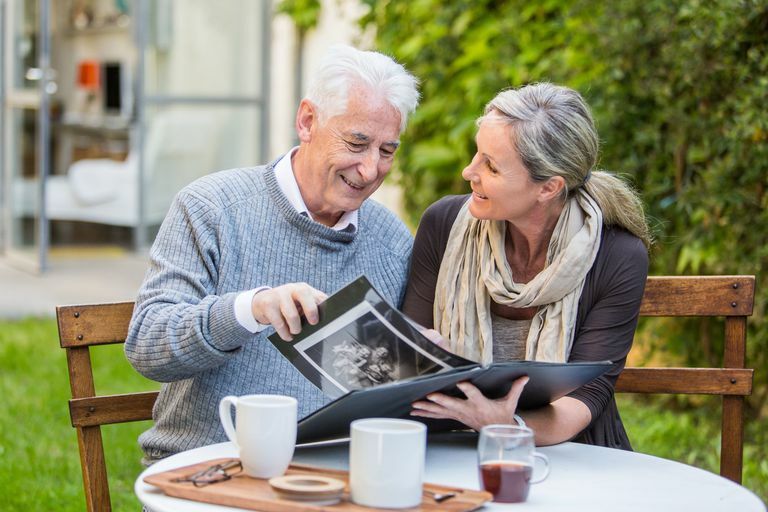 For example, family members often appear familiar to those with advancing dementia, but they might not be able to identify the specific relationship. In the late stages of Alzheimer's, your loved one might not be able to demonstrate an awareness of your presence. Other causes of long-term memory loss may be related to a reversible condition, such as delirium due to an infection or a significant vitamin deficiency. Display pictures of family and friends. If you have DVDs or other recordings of family events or meaningful people, play that recording from time to time for the person. Always introduce yourself by name. Remember that the loss of a special memory, or even who you are, is not an indicator that you aren't meaningful or special to that person. It's a result of the disease, not a choice that he is making. Don't constantly remind the person of her memory loss. Love her unconditionally and be with her. Coping with long-term memory loss as a result of dementia can be difficult. Learning what to expect, while it doesn't change the progression of dementia, can help you cope with those changes and understand them as part of the disease. Remember that even if someone with dementia can't remember a specific event such as your visit with them, the feeling that your visit creates last long after the memory fades. What Does Oriented x1, x2, x3 and x4 Mean in Dementia?